Last week, MotorOctane/ Team-BHP reader revealed that General Motors’ Chevrolet has got plans to launch Chevrolet Spin MPV (which was spotted in Bangalore) as well as a new SUV name Spin Activ in India. The all new Chevrolet Spin and the new Spin Activ is going to be launched not just with a 1.3-litre diesel engine but also with 1.5-litre petrol automatic variant. The all new Chevrolet Spin Activ is nothing but a compact SUV that directly competes against the Renault Duster – a popular SUV from French auto-maker Renault. Both the cars, Chevrolet Spin and the Chevrolet Spin Activ is going to be a 7-seater compact SUV that comes mounted with a wheel similar to that of Fiat Avventura. General Motors which is already in the process of moving out of their Halol plant and making the Talegaon manufacturing facility as their hub would not just for India but to export it as well. Chevrolet Spin would be made in India and its base will be shifted to India from Indonesia. The 1.5-litre petrol engine of Chevrolet Spin is capable of churning out a maximum power of 109bhp by delivering a peak torque of 142Nm. The Spin’s engine is mated to Chevrolet’s tiptronic transmisison. The diesel is 1.3 litre that churns 75bhp of power and 175Nm of maximum torque. 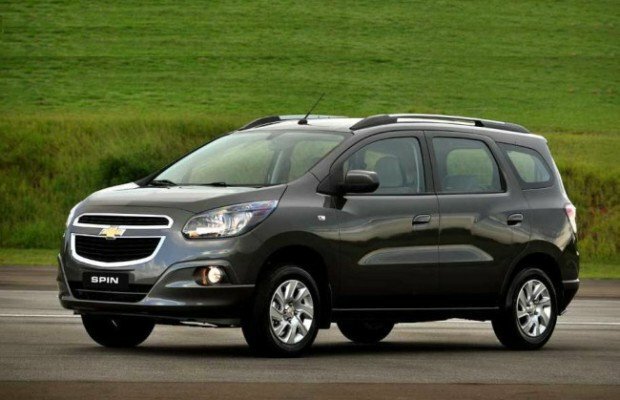 Chevrolet’s Activ version is the SUV package. This version is for those who need the space of an MPV, but need an SUV-looking vehicle. Chevrolet will be getting the Spin and the Spin Activ, with an SUV package. The Spin is also launched in other markets with a 1.2-litre petrol engine, which might not make it into India. Chevrolet Spin is going to be launched next year (2016) and the Chevrolet Activ is going to be coming with petrol as well as diesel engine options. The price of Chevrolet Spin is expected to be around INR 9-12 lakhs (on-road) approximately.